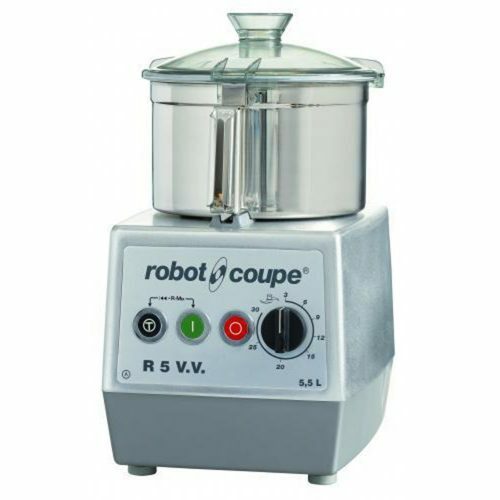 The Robot Coupe R 5 V V, has been designed to process all types of food and will mix, grind, chop, knead and puree with speed and efficiency, giving consistent, high-quality end-products in a few minutes for the longest preparation. The 3000 rpm speed is recommended for mousses and smooth-textured mousses. Pulse control allows you to maintain the precise cut that you require. Industrial induction motor designed for heavy duty use guarantees durability and reliability.